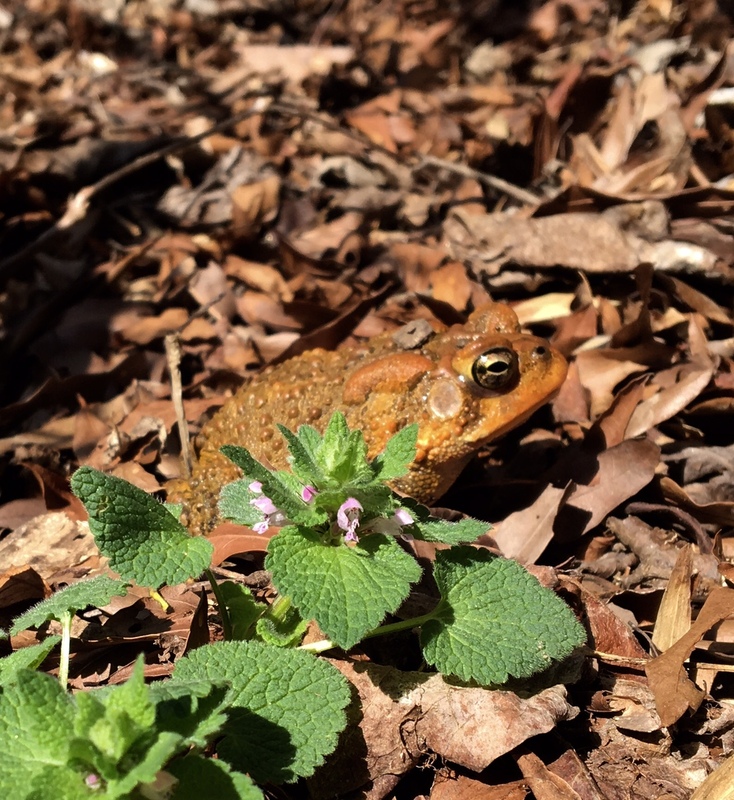 ARMN volunteer and Master Gardener Joanne Hutton reports on spring’s largesse in the native plant garden at Potomac Overlook Regional Park (with photos by the author unless otherwise indicated). 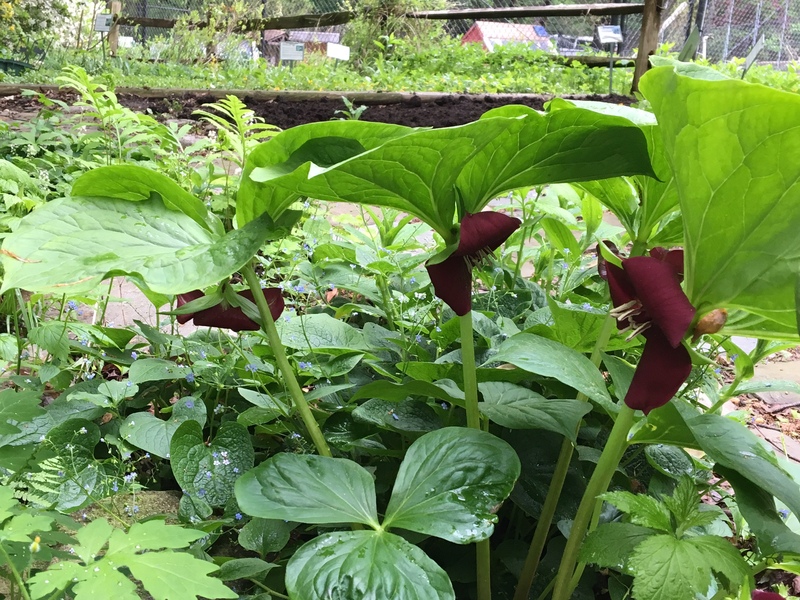 Spring rains yielded floral abundance this year, and the unfolding of spring at Potomac Overlook Regional Park’s Shady Native Plant Demo Garden was glorious—if you got there in between the showers. This is a space that ARMN maintains for public enjoyment and edification. The PORP garden was the brainchild of, among others, Long Branch Nature Center naturalist Cliff Fairweather, and has enjoyed support and donations from the Audubon Society of Northern Virginia, Virginia Native Plant Society, Earth Sangha, Master Gardeners of Northern Virginia, and the Arlington Regional Master Naturalists. It is coming into its own in its fifth year, even as it is a work in progress. We’ve learned a lot about what the deer like to eat in a setting to which they were already habituated, especially geraniums, goldenrods, viburnums, ninebark, and some asters. We have watched the lovely Woodland Stonecrop (Sedum ternatum) establish under a dogwood and twine with the Partridge Berry (Mitchella repens). The latter is a very quiet little groundcover, and I’ve discovered that, while it’s happier with the drainage a small slope offers, this year it bloomed happily the first week of June, despite the rainy conditions. The Sweet Wake Robin (Trillium erectum var. vaseyi), also called the Stinking Benjamin, was also in bloom, although I confess I didn’t inhale it deeply. This plant is hardly “erectum,” which is why it’s treated as a separate species in some references, and is likely more common farther south. It has various medicinal (and also toxic) properties, and the freshly unfolding spring bracts are edible. To my mind they are too beautiful to consider harvesting. Deer do NOT browse on the Golden Ragwort (Packera aurea) that has spread to several beds and throws a golden haze over them in March and April. 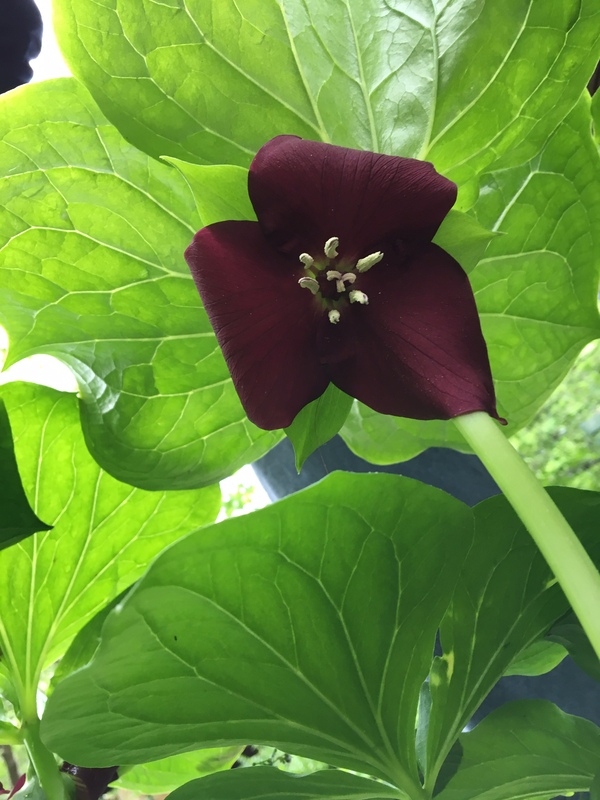 Similarly, deer avoid the native Wild Ginger (Asarum canadense) that’s created a rich green border under the Carolina Allspice (Calycanthus floridus). 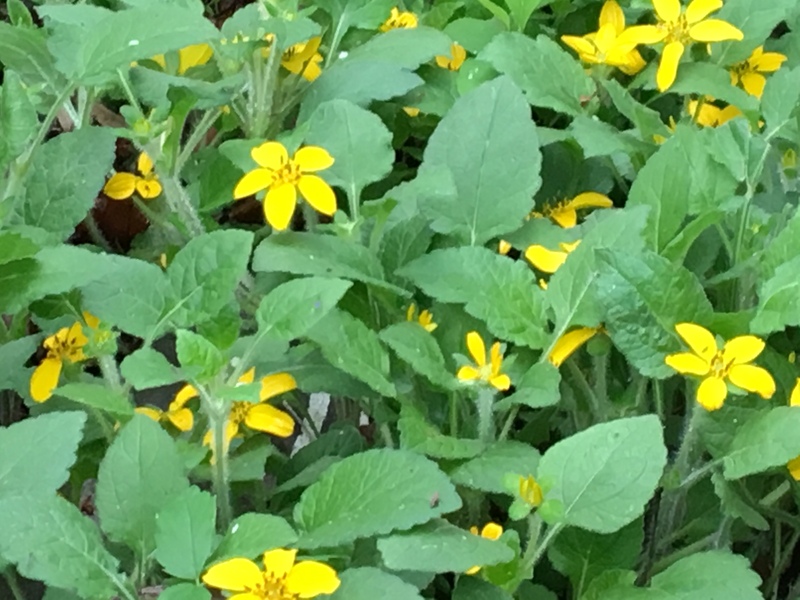 Another delightful groundcover, Green and Gold (Chrysogonum virginianum), has eluded predation. Like the Partridge Berry, it prefers decent drainage, especially during winter months. It’s a merry little plant that bloomed this year for nearly two months and is still going strong. Try it in your garden, if you haven’t already. Better yet, come to a work party (look for upcoming events on the ARMN Volunteer page) and we’ll dig you a piece! Ferns are only occasionally sampled by deer, and you can see at least eight different species in the demo garden. 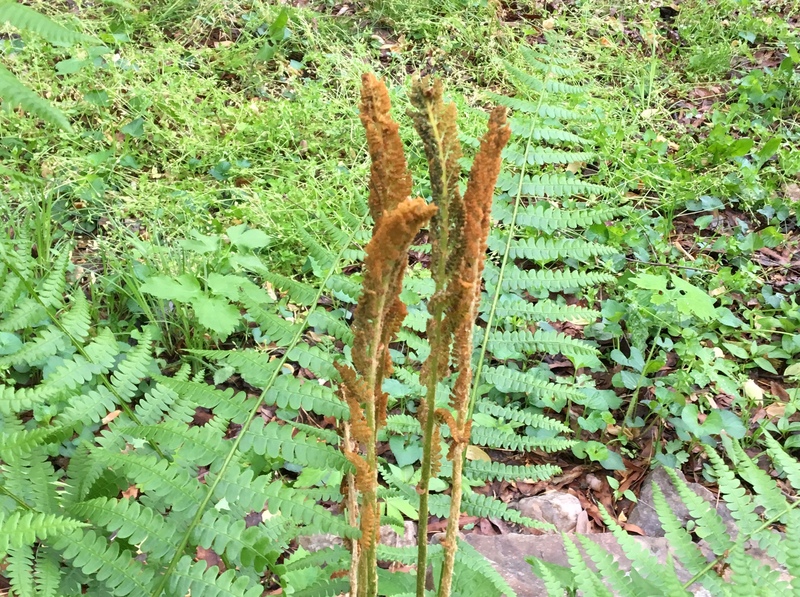 Some are delicate and others like the Cinnamon Fern (Osmundastrum cinnamomeum) are statuesque. There are always things to see in the park. 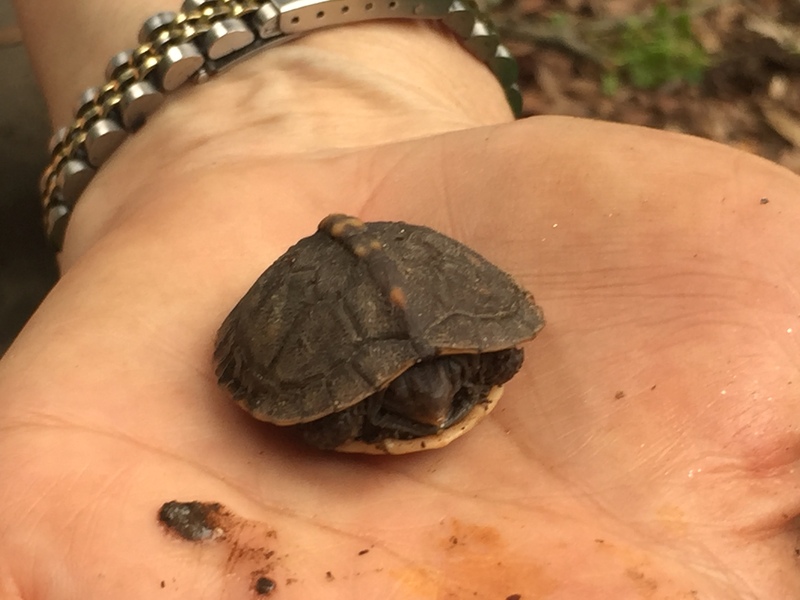 Some of them require a careful eye—to discover a recently emerged toad, uncover a baby box turtle not two inches long while weeding, or spot the source of warbler songs in the high canopy above. We are grateful for the support of the new park manager, Doranne Pittz. If you come to visit PORP, please introduce yourself to Doranne, who is new to Arlington. She has promised to install a sign to explain the garden’s purpose. And we are working on garden markers to highlight the valuable species that flourish in the shade and offer something for everyone—even the White-tailed Deer. This entry was posted in Education, Focus Service Projects, News, Outreach, Potomac Overlook Park, Stewardship by howellch. Bookmark the permalink.